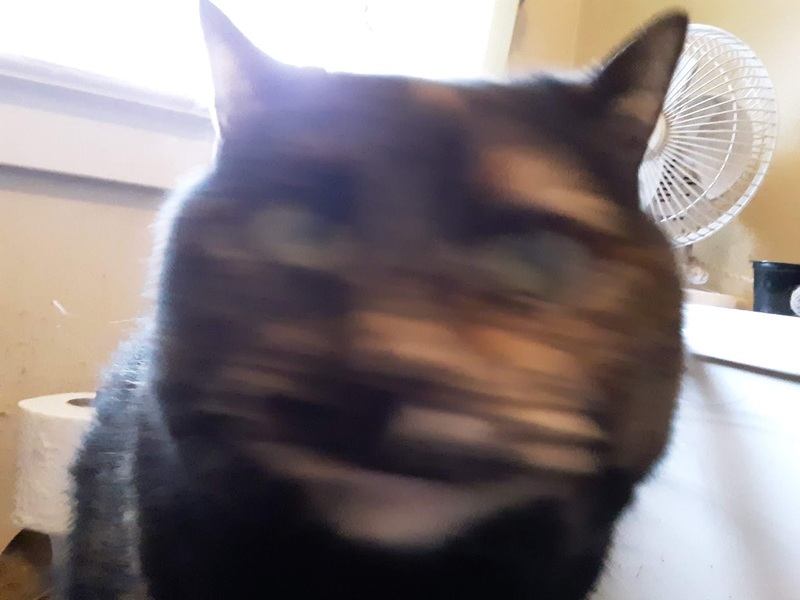 Melissa's Mochas, Mysteries and Meows: Pet Photo Fails! 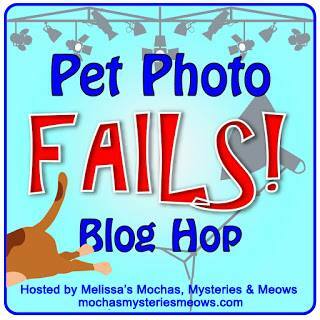 Thank you for joining us for this month's Pet Fails Photo Hop! Today we're sharing bloopers from two different photo sessions. These first pictures were taken when our latest CatLadyBox arrived. What can I say, the blurs just mean I was having fun! These two were my failed selfie attempts last weekend. 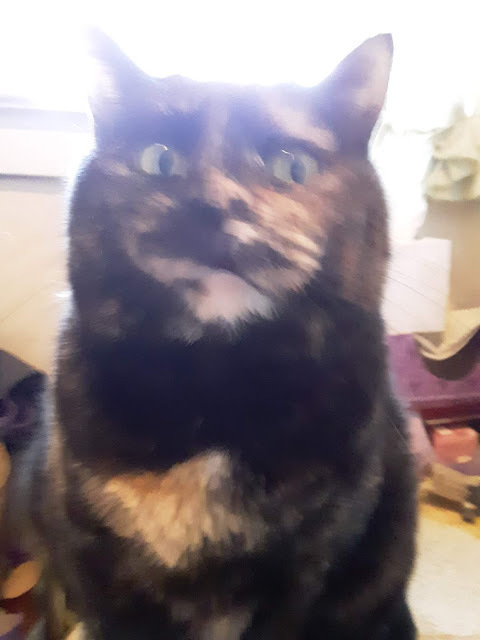 Obviously I'm a very busy tortie with other things to do! Hope my bloopers made you smile! Now let's see yours! MOL! I can totally relate to these! Those were fun sweet Mudpie and we love the look on your face in that last one! Ha ha! Still cute, though. Your mom needs the same photography class as TW does. I'll bet she blamed you too. The last photo of you, Mudpie, is wonderful! I love the look in your eyes; it's almost mystical! I think you should make a jigsaw puzzle out of it. Those are precious! Everyone has more photo fails than successes - no worries! Teehee, your bloopers most definitely made me smile! Mudpie, you are downright adorable, bloopers or not! I just love your expression in that last shot. Purrs! Your photo fails are fun. they made me smile! You do bloopers good, Mudpie!